My name is Kim Boyd. I have worked in the flooring industry since 1985. 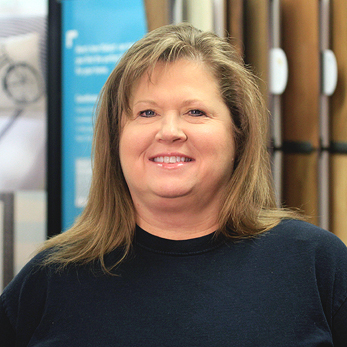 I started out in the wholesale-distributor part of the business and eventually went to work for a retail flooring store. I am now in the contract department at Southern Carpet, Hardwood and Tile as an estimator. I really enjoy my job. It is challenging and ever-changing. One of the first things I learned about Southern Carpet is our company creed “always satisfy the customer”. We have a great group of hardworking people here and we are an awesome team. We do what it takes to get the job done. We all have a healthy respect for each other’s talents and knowledge and that is why we work so well together. We are a family.